JUST 9 DAYS AWAY BEFORE OUR FINAL DEADLINE! 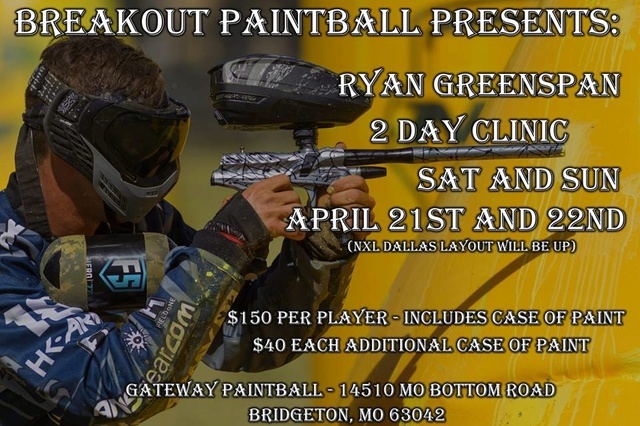 Come out to Gateway Paintball in St. Louis to learn from the best! Join Ryan Greenspan for a 2 day clinic. The clinic is Saturday and Sunday April 21st and 22nd 2018. 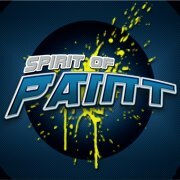 Price is $150 and includes a case of paint and is for BOTH days! The deadline to register for this clinic is February 1st 2018! No more entries will be accepted after this date! To register please follow the link below and enter your information. Payment will be due by Monday February 5th.